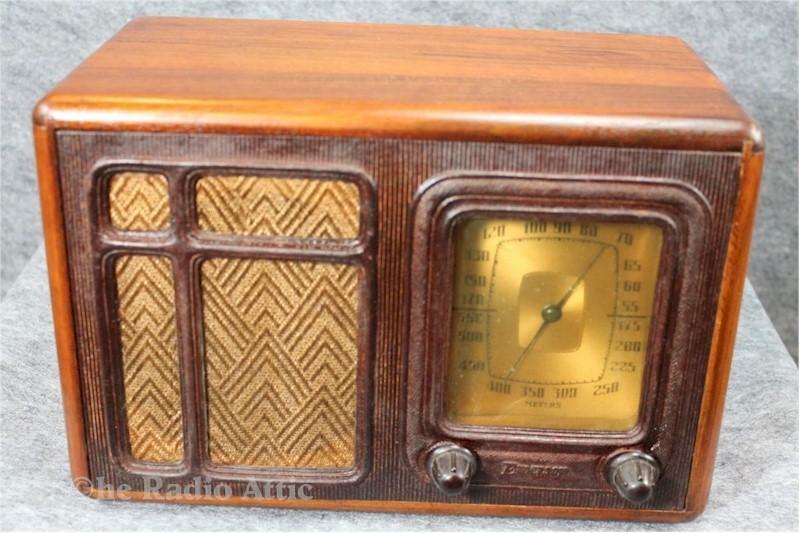 Here is a great looking wood radio. The front is made of repwood. The radio plays nicely and sounds great. It picks up all the local stations here. The finish is original and very nice. The back cover has a small sliver out of it top right. Feel free to ask any questions you might have.